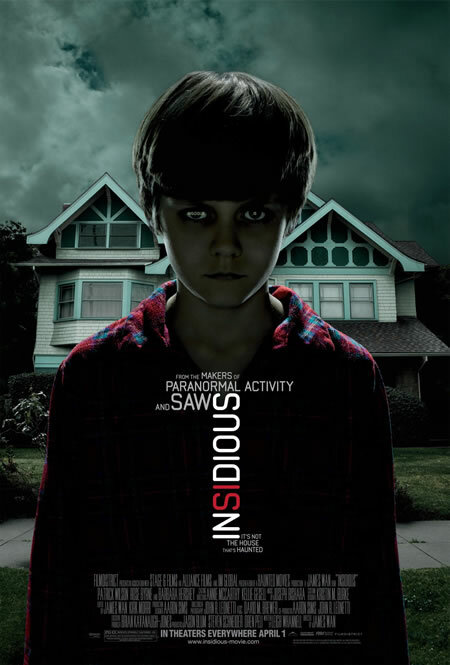 Take equal parts "Paranormal Activity" and Poltergeist, add a dash of James Wan's own "Dead Silence", and just a pinch of Kubrik's "The Shining", and you have the recipe for "Insidious". Sadly, while this concoction sounds delicious, the proof of the pudding is in the eating, and this meal leaves you less than satisfied. A quick summary: Josh and Renai Lambert (Patrick Wilson and Rose Byrne), parents of three, have just moved into a new house. Renai has obviously had some problems, and Josh is in his own self absorbed little world. Their son Dalton (Ty Simpkins), goes to investigate a noise in the attic, and falls. The next morning, he can't be woken up. The doctors can't find anything physically wrong, but he stays in a coma. Three months later, Dalton is brought home, still in a coma, and strange things begin to happen around the house. Renai convinces her husband they need to move, but at the new house, the strange occurrences continue. Josh's mother and Renai call in a psychic (Lin Shaye) to help, but her discovery creates even more danger. Director James Wan is a master of creating really tense atmosphere, and keeping you on the edge of your seat, and he doesn't stop with this film. 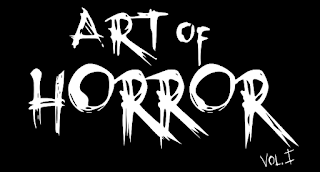 The film looks good, has an excellent creepy feel to it - reminiscent of Wan's "Dead Silence" - and the director prefers to let you imagine things, rather than showing them outright. The pop scares are well done, causing more than a few jumps out of the seat, without being overused, and the ghosts are scary as hell (not in the least because you seldom get to see them clearly). Unfortunately, this picture is taken down by the writing and the acting. The dialog is so clunky as to be laughable (in fact, at the preview folks were actually laughing at it), and most of the actors are just not up to the challenge of making it work (special award to the "eyebrow acting" during the reveal). Lin Shaye (who horror fans will recognize from the original "Nightmare on Elm Street") gives a great effort, but is hampered by having to say things like "He's in a place I call...the 'Further'". Ty Simpkins does a good Haley Joel Osment/ Heather O'Rourke impersonation, when he's on screen, but spends most of the film in a coma. Throw in a couple of plot twists, and well...our delicious meal just turns to mush. I really wanted to love this movie. I'm a sucker for a good ghost story, and at it's heart, this IS a good ghost story, but the acting and dialog bring it down. In the end, it's not BAD, just not as great as it could have been. I'll give it a 6 out of 10.